RAHB is considering introducing electronic lock boxes to our marketplace for our members. In order for their use to be effective, electronic lock boxes would need to be used by every RAHB member who lists properties and chooses to install a lock box. Before we explore this we would like to obtain your level of interest in the idea of using electronic lock boxes. Your personal security, the physical security of your seller’s property and contents, as well as ease of use and compatibility with modern digital business processes and RAHB’s MLS® System, are all reasons to consider exploring electronic lock boxes at this point in time. We ask that you please take two minutes to answer four questions via our survey – use the Take the Survey link below. The survey will be available until Thursday, May 24, 2018. 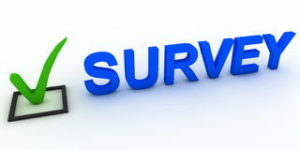 Please note that survey responses and participation are completely anonymous. As a thank you for your participation, and if we receive one-third member participation for this survey, all members will be added to a draw for a $50 Tim Horton’s gift card. Responses to this survey will be collected and provided to all members in an upcoming issue of our NewsReal e-newsletter. The winner of the Tim Horton’s gift card will also be announced at that time. Thank you in advance for your participation. We value your feedback and strive to add value to your RAHB membership. I Disagree with electronic lock box . This should be left to Brokerages to make their own choice to use this system. Brokerages are not all the same today as in the past. Real Estate Boards need to think of what their role is to the Realtor not the Brokerage. Your allowed this change many years ago now. What’s good for the Realtor. The Brokerage will seek what’s good for the Brokerage. You really got off lucky pushing the totally “user unfriendly” matrix system on us and throwing out our former system which did NOT require hours of wasted seminar time and repeated failures to introduce the matrix system on time. Oh yes, the matrix offered all kinds of unnecessary information which some realtors might use from time to time. But we were good sports and went along with this terrible idea because you suggested we did not have a choice. Please “back off” justifying your existence by offering us another “GREAT” electronic system which we do not need and which will cost us money to support who knows what American franchise. More exposure to hackers. “BACK OFF” please !!!!!! What do you mean , my comment requires “moderation”. Are you censoring comments from front line realtors ??? ?